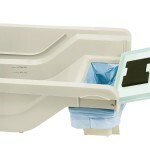 Wonder Bowl Automatic Pet Feeder Review - How This Feeder Works? 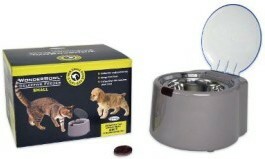 (3.2/5) Wonder Bowl pet feeder is an automatic solution for multi-pet households and pets on special diets because it opens only when the pet wearing a unique tag on its collar gets close to it. This is especially important since feeding pets in a selective way is very difficult and that’s why Wonder Bowl gives you a solution to the challenge of making each pet eat only his or her own food. Wonder Bowl is designed to not slide and the stainless steel bowl insert is dishwasher safe on the top shelf and can be removed for cleaning. Wonder Bowl works with infrared technology to detect when your pet is close to the feeder. 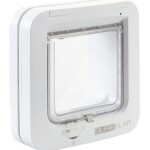 When the cat or dog wearing the unique tag is in range, the lid will open, allowing the pet to have access to the food. 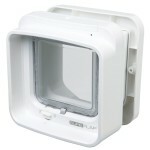 Infrared technology allows the feeder to open when the pet wearing the tag approaches it. Selective feeding system excludes pets that don’t wear the unique tag. 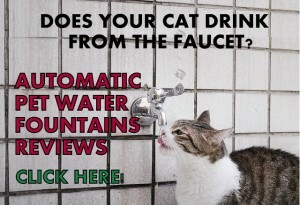 The system keeps dogs or chubby cats out of the bowl. Good for cats on a prescription diet. 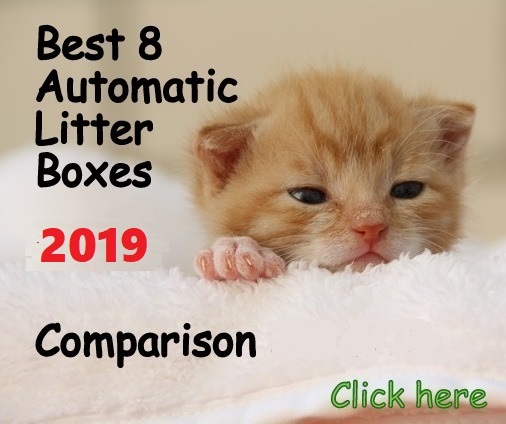 If the cat turns its head when eating from the bowl or if it moves its head to the sides of the feeder the lid closes on the cat’s head because it loses the infrared line of sight. When the tag is hanging in the bowl, the lid closes on the cat’s head. The feeder is loud when operating. The sensor cannot reach the cat’s tag if the food level is too low because the steel bowl is very deep. As the batteries don’t last very long, make sure to buy the AC adapter. Try to get the cat’s tag a little higher by attaching it directly to the cat’s collar, this way the infrared line does not lose sight so often. As the stainless steel bowl is deep and the cat is uncomfortable eating with its head pushed down, you can use something inside the steel bowl to elevate the food. 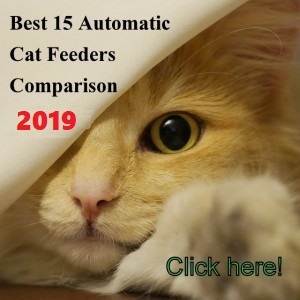 Customers complain of the feeder shutting on the cat’s head when the infrared line loses contact with the tag and this happens because usually cats don’t eat with their head straight or one level all the time, they move the head down a little or turn it around from side to side, etc. Customers also state that the tag is too big for a regular sized cat and it hangs down too low so when the cat is eating with the head inside the bowl, the infrared line loses contact with the tag and closes on the cat’s head. The feeder’s lid opens about two feet away from cats so sometimes they are only walking by the feeder with no intention to eat and this opening and closing activity of the feeder might scare shy cats. As customers have pointed out, this automatic feeder needs some adjustments to work properly. You can adjust the Wonder Bowl to your situation and it will work fine. The Wonder Bowl might not be suitable for nervous cats, kittens or small sized cats. The unit might need some adjustments to work properly if your cat usually moves its head away from the feeder when eating. 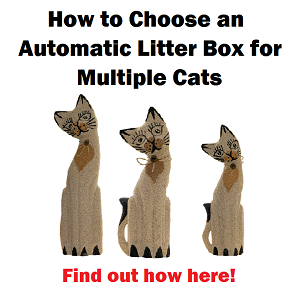 However, if you really need a solution to feed your cat a prescription diet or if you have a very skinny cat that does not get to eat because the other cat steals its food, give this feeder a try but you will need to do some easy adjustments for the line of sight between the feeder and your cat’s tag to meet without problems. Do you know if the wireless whiskers is available in Canada? I’ve searched and cannot find it anywhere. also, do you know how many meals the wonderbowl will hold? Hello Lynne, the Wonder Bowl holds up to 1.5 cups of dry food. Personally, I would not recommend using the Wonder Bowl to leave your cats alone for 2 weeks. The Wonder Bowl does not have selective programming to feed several pets, only the pet that wears the collar’s tag. Plus, the mechanism has some fails when cats are eating from this feeder. Some customers have described their cats being smacked in the head by the bowl’s lid because they turn around the head when eating or the lid simply closes when they are eating because the tag goes underneath the line of sight. Regarding the Wireless Whiskers it holds approx. 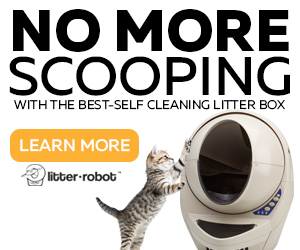 2,3 kg of dry kibble and it can be programmed to feed two cats individually. I think they ship to Canada but you have to pay shipping extra cost and I am not sure if the guarantee will cover the shipping costs outside the USA. 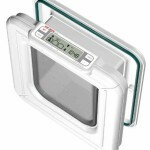 In my opinion it is a better idea for you to set a feeding station for one of your cats with a good quality cat flap, you can see ideas here. Good luck! We have two of these feeders (one for each of our cats). We have no complaints about how they work. We have never had any issues with the actual bowl, and it has stopped our cats from eating each others food. Our main issue is our younger cat is a roamer. Twice in the last year he has come home without his collar. Which means, he has also lost the sensor for his food dish!!! I wish we didn’t have to rely on the sensor on his break-away collar. 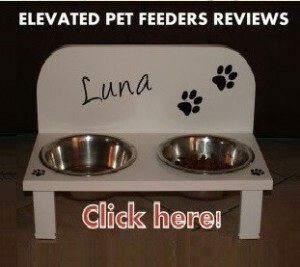 I am happy to know this feeder has worked perfect for your cats! thanks for sharing your experience. In the tips part, it says that you can add additional sensors to the bowl. 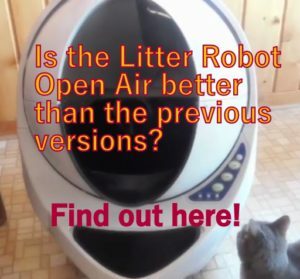 Are they sold separately, like the a/c adaprer on their site? If not, can you please be specific as to where and what type of sensor? Thank you..
Hello Karen, here you have a video of the extra sensors https://www.youtube.com/watch?v=fyXb3B93OtM You can get these sensors on Ebay, 45 Degree Reception Distance 15M VS838 Receiver. Ask somebody handy at devices to help you if you don’t know how to install them. Hope that helps.